Caerphilly, he lowers himself down. Edam well nearly pulled it off. "Tom must be really pissed off that I stole his part." You've gone too far, MB Games. OMG no!! I camembert to look!! Overthinking it. Instead set the trap off with a long stick and then claim the cheese. Tom was becoming suspicious of Jerry's offer to drop in for lunch..
'Felix' Baumgartner eat your heart out. Will he get the cheese? Edam well better had but he better do it Caerphilly. It's a lot less bovver when you hover. Three hours it took him to get to this position only to find that it's got rat poison on it. He's not taking the Mickey, this is his Cat Burglar impression. 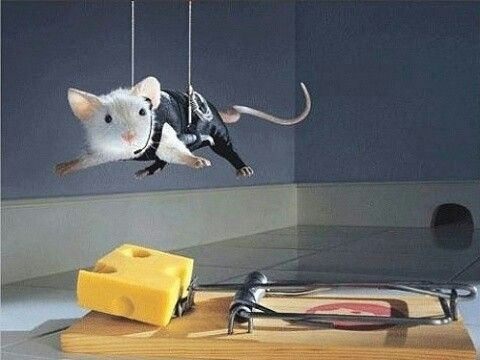 Stuart Little 2: Ghost Protocol. The best laid schemes of mice and men.